A crawl space is its own type of ecosystem under your home or business. It needs to have specific ventilation, a functional moisture barrier, and be kept clean, in order to function properly. When the ventilation, moisture level, insulation, or cleanliness is disrupted by insect activity, flooding, or other disturbances, the functionality of your crawl space breaks down. 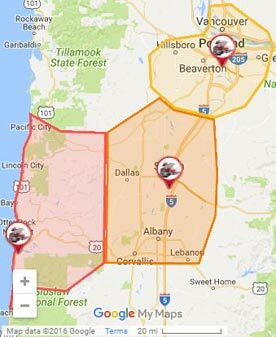 That is when it is time to call The Killers Crawl Space Restoration for your crawl space restoration in Albany, OR. Having a crawl space that is not in good shape may not seem like a big problem. 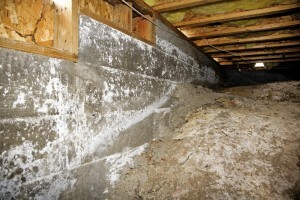 The thing to keep in mind is that deterioration in a crawl space can seep into the foundation of your home. Areas of mold and wet wood spread fast. They can even get into the flooring of your home. Rodents and insects, such as termites, also enter the crawl space and spread damage up into the home. Once this kind of damage takes hold, the repairs are costly. Getting a regular crawl space inspection and, when needed, a crawl space restoration will ensure your home or business avoids this kind of costly destruction. In addition to the financial threats of poor crawl space conditions, there are also health risks. Mold spores, bacteria from insects and rodent activity, and even odors can get into the air flow of your home. These create poor air quality inside your home, potentially leading to respiratory problems and exacerbating allergies for many. Lastly, not getting crawl space restoration in your Albany, OR home can lead to an increase in your utility bills. A healthy crawl space has good, sealed insulation. When rodents, insects, and moisture breakdown insulation and seals, drafts get in and your home’s air leaks out. Your temperature control needs to work harder, which amounts to more expense. When you call our professionals for your crawl space restoration, we do the inspection, removal of wasted materials, clean up, pest control service, material replacement, and even foundation rebuilding. When we are done, your crawl space repair will be complete and the area will be full restored and functional. The Killers Crawl Space Restoration has been cleaning and restoring crawl spaces since 1991. We have the expertise, equipment, and know-how to repair your crawl space and keep your home safe from further damage and health hazards. Because crawl space restoration does involve dealing with rodent and insect droppings, mold, and bacteria, we strongly advise you call a professional to do the work. We use all the necessary precautions to ensure mold spores are not spread and all soiled materials are removed safely. Doing this work without the safety equipment and proper precautions can be dangerous to the health of an unprotected individual, and it can further spread hazards into your home’s airways. 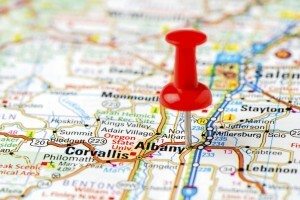 Contact us today for your crawl space restoration in Albany, OR and the surrounding areas.